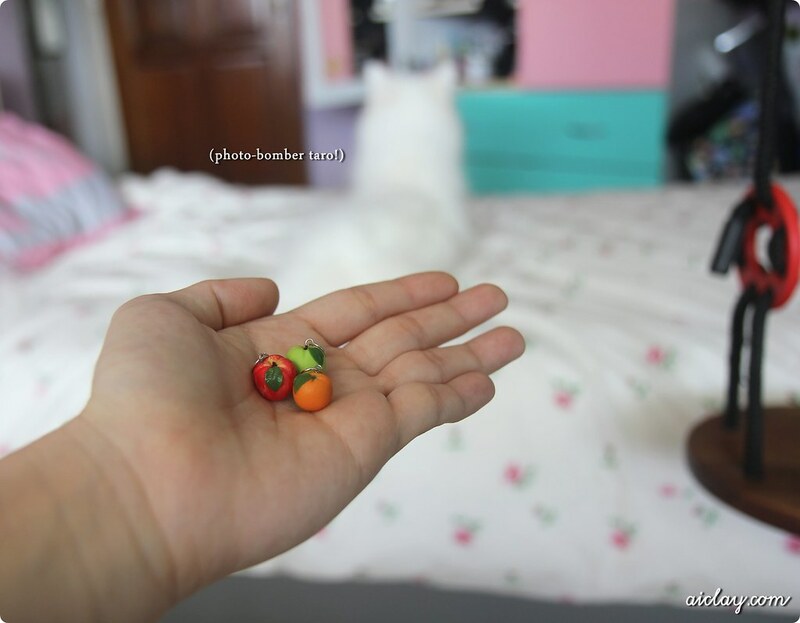 AiClay - a Haven of Miniature Food: Miniature fruit pendants! I received a commission from US a few weeks ago for some apple pendants for Teachers' Day. That made me google for dates and turns out different countries celebrate Teachers' Day on different days! I learn something new everyday. Decided to take a quick photo of the miniature fruit pendants - there's the green and red apples and a mandarin orange. An announcement, I'll be on holiday from tomorrow till 7th March. AND there are still slots left for the Donut Necklace Workshop on 16th March Saturday! Email me ASAP if you would want a slot (or two! ).